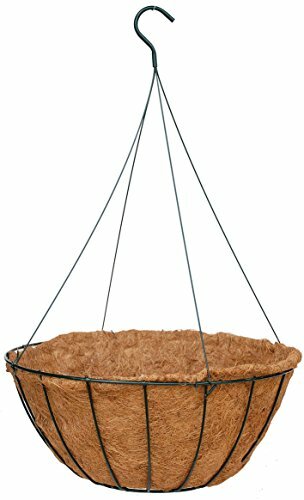 Most attractive and most rigid hanging planter. Complete set with moisture retainer coco moss liner and wire hanger. Blends in with any outdoor decor. Top quality craftsmanship and style. Dark green powder coat finish. Wide body 18" diameter and 8.5" deep and flat bottom.